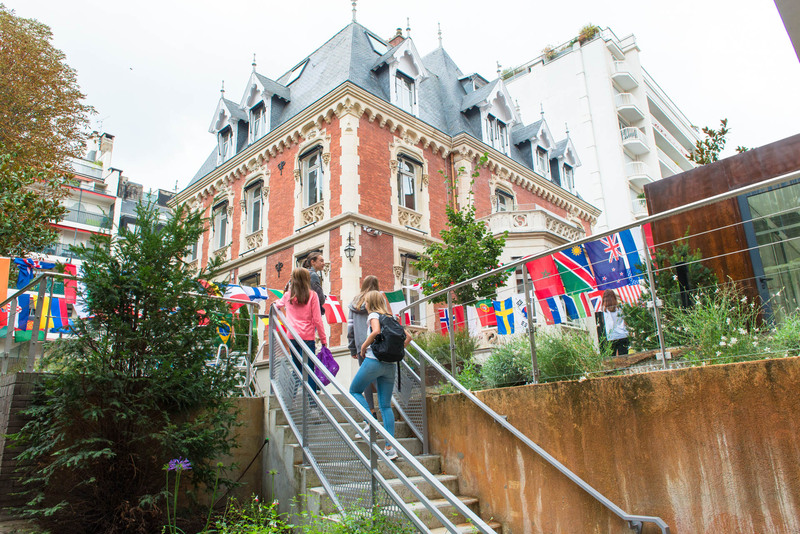 Welcome to the International School of Paris! I enjoy being part of an international school community where students are very proud of their home country but also develop a keen appreciation for the host country and the wonderful culture surrounding them. At ISP, we are unified by a uniquely Parisian experience. Our vibrant and diverse community learns across three city campuses, with the Eiffel Tower as a backdrop. ISP’s learning community continues to grow. We welcome over 700 students between the ages of 3 and 18 from more than 60 different countries each year. Students and families joining ISP are quickly made to feel part of the school thanks to ISP’s welcoming and motivating environment. And we are particularly excited in 2018-19 to welcome the Middle School cohort to our new campus on rue Cortambert. 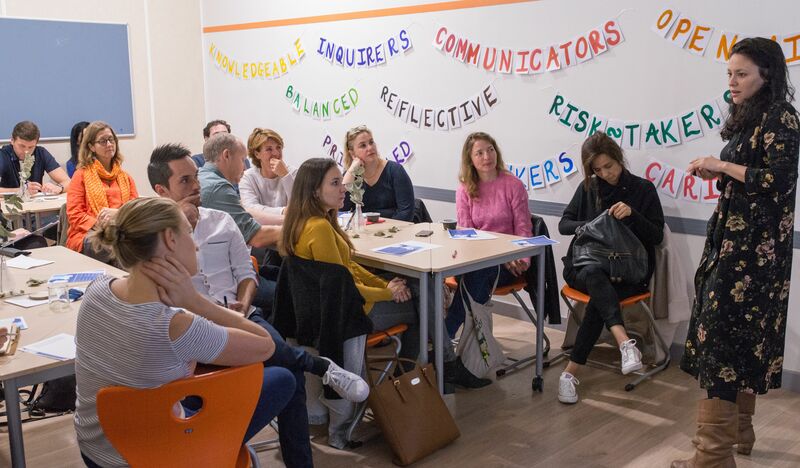 The learning experience at ISP is shaped by a spirit of inquiry and agency, whereby students, teachers, and parents work together to develop the learning mindsets that are crucial to success in a complex world. We recognise that the challenges facing young people today require thoughtful and creative responses, and that the critical thinking and research skills cultivated in all three International Baccalaureate® (IB) programmes prepare us well to propose such responses. 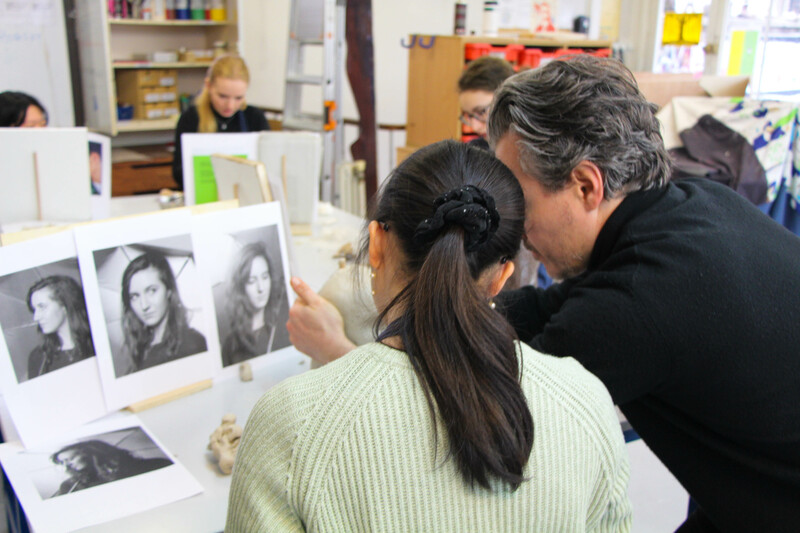 As the first IB World School in France, offering the Primary Years Programme, the Middle Years Programme and the Diploma Programme, we demonstrate our commitment to the values of the IB. Our broad and balanced academic curriculum is complemented by a wide range of extra-curricular activities, and supportive well-being and transition teams. We consistently ensure that every student, no matter the challenges they face or the talents and skills they express, has the best preparation for their future. The real warmth of the school, the atmosphere of friendship combined with endeavour, lies within our students, parents and staff. This can be appreciated best by visiting our school. We look forward to welcoming you. The International School of Paris Board of Trustees is the executive and highest legal authorizing body of ISP and governs the ISP Association. The Board is charged with appointing and providing support to the Head of School, establishing basic policies and major programs and delegating the day-to-day administration to the Head of School. The international spirit of ISP is reflected in the composition of the Board of Trustees, predominantly made up of parents (from both the Primary and Secondary School) representing 15 different nationalities. Members bring diverse skills and experiences, and are all volunteers. Nathalie Courtel moved to Paris in 2000 from Toronto, Canada as a PWC Consulting change management expert to continue her work helping public and private organizations implement vast and profound organizational change. 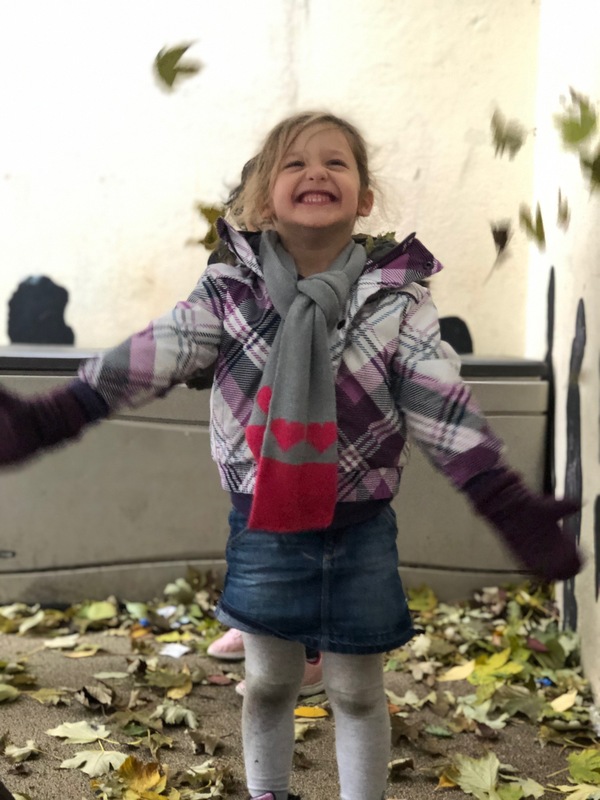 She and her family moved back to Canada in 2009 and returned to Paris in 2012, at which time, and after considerate review of schools available to the children in Paris, the International School of Paris became the obvious choice. It stood out as truly offering modern, holistic and rigorous schooling, authentically “walking the talk” of bringing out the best in each individual child’s learning experience core to the well rounded IB curriculum. We at ISP believe, as Nathalie does, in the school’s role to educate children for the important 21st century challenges, socio-environmental responsibilities and opportunities. Nathalie brings to the board her deep understanding of organizational growth and change experience. She is a fluent French and English speaker and hopes to build even deeper ties with the local community. Nathalie is a fervent believer in the invaluable gift of the diversity of the ISP community and hopes to see connections between them be even further nurtured. Nathalie holds a B.A. in Interpersonal Communication from the University of Ottawa and an MBA from McGill University. Since leaving the world of consulting Nathalie is pursuing her PhD in business with a particular interest in organisational compassion and aesthetics and how it may support more sustainable organisations. Ingrid Equestre-Mezger is half American, half British, raised and educated in Switzerland where she obtained a Federal Matura before heading to the US (Macalester College, MN) and Italy (Università Bocconi, MI) to gain an B.A. in Economics and International Studies. Her passion for languages and travel led to a career in Marketing and Export, first with Swiss family-owned company Caran d’Ache as Area Manager for Europe, followed by the multinationals Unilever as Marketing Manager for Europe, the Middle East & Duty Free, and Publicis Groupe as Director of New Business and Strategic Planning for Argentina. Moving throughout Southern Europe and South America with her husband Enzo, Ingrid became involved with the International school system thanks to her children Gregory (Class of 2017) and Vivien (Class of 2021). She was Chairperson for the Primary Education Matters Committee at the ICS (International College of Spain) in Madrid. 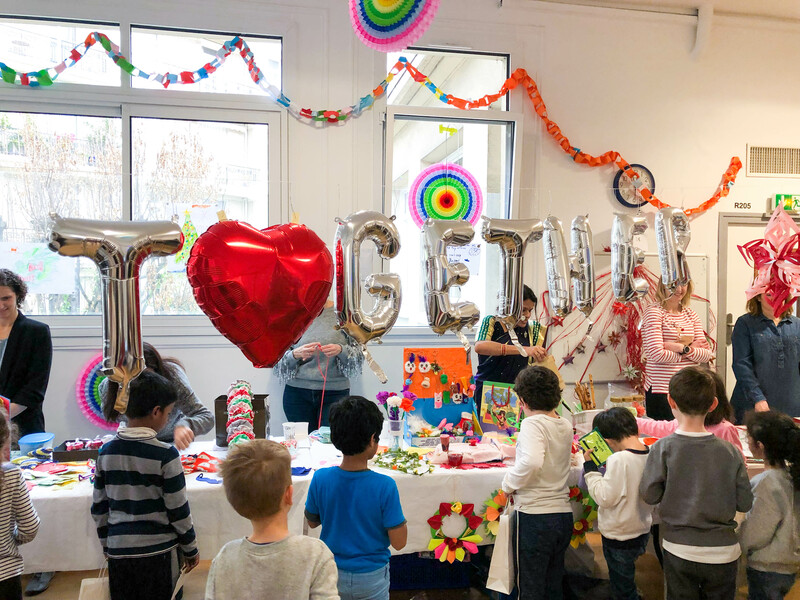 A long-term Paris resident since 2011, she has been engaged with the school in a "hands-on" way, such as organising the yearly Welcome Workshop for incoming families. She believes in sharing the understanding and vision of good education in order to make a long lasting difference. "Understanding the reason we learn is key to a successful journey through the school system. " Ingrid is a strong supporter of solid, international education preparing children to succeed and to embrace opportunities anywhere in the world. Satoshi Imai’s international journey began at age 14, when he visited major cities in Europe and in the United States as a member of a Japanese student goodwill group. That experience ignited a fascination with diversity and complexity around the world that has persisted to this day. Born in Kyoto, Satoshi earned a bachelor’s degree in sociology from the Université Paris X Nanterre. He made his career at the Japanese investment bank Nomura, holding senior positions in London, Geneva, Madrid, Kuala Lumpur and Paris before retiring as chairman of the Board of Directors. While at Banque Nomura France, Satoshi was in charge of the integration of the European and Asia operations of Lehman Brothers, which Nomura had acquired. He also played a pivotal role in promoting French government security in Japan. 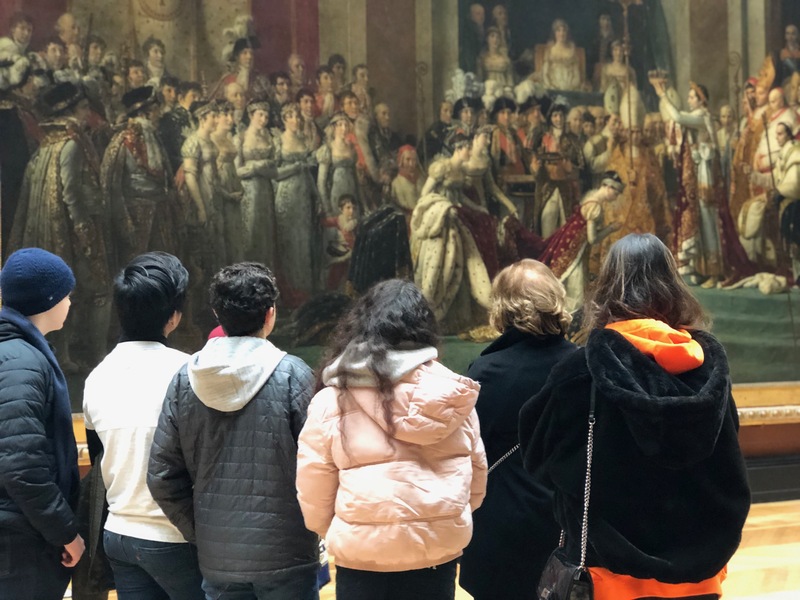 He recently founded a consulting company, Dialogue Franco-Japonais SARL, to contribute to the development of cultural and economic ties between France and Japan. Satoshi is eager to serve the multinational community of ISP, and to participate actively in the school’s new strategic plan. His daughter, Sari Imai, a member of the ISP Class of 2016, received her IB diploma with a perfect score of 45. Trilingual in English, French and Japanese, Satoshi enjoys participating in cultural exchanges and playing piano as hobbies. Joško Bobanović was born and grew up in Croatia. He completed his university studies in physics at the University of Zagreb, Croatia, then moved to Canada to obtain a PhD in Physical Oceanography at Dalhousie University, later followed by an MBA in Finance and Marketing from McGill University. Throughout his career he has worked in research and development as an entrepreneur, in marketing, and most recently in the investment industry assisting entrepreneurs in building next generation technology companies. His experience in living in different countries and interacting with different cultures in many languages allows him to appreciate the diversity and the contribution an international environment can offer. He is currently a partner at Sofinnova Partners, a leading European venture capital investment fund and is responsible for early stage investments in renewable chemistry and bioenergy companies across Europe. Originally from the Netherlands, Pieternel Kroes first learned about the International Baccalaureate programs in Japan, where she and her family had moved from the United States in 2006. Her daughter (ISP Class of 2017) went through the Primary Years Programme at Hiroshima International School, and then seamlessly transitioned to the Middle Years Programme at ISP after moving to Paris. A designer by training, Pieternel wishes to offer her expertise to the ISP board because she is convinced that a stimulating environment and innovative tools are key to spurring academic achievement. She earned a Master’s degree in Industrial Design from Delft University of Technology and has worked in product and interior design in the furniture and automotive industries, as well as in brand design and communications. Prior to moving to Paris, Pieternel served on the board of the Hiroshima International School. She is currently a member of the board of the Atelier Néerlandais in Paris, a platform and incubator for Dutch Creative Industry initiated by the Dutch Embassy. A graduate from École Polytechnique in Engineering in 1988, Hervé Glasel began his career in the banking sector with posts in Europe, Asia and North America. Married with four children, he and his family experienced different education systems in Singapore, Spain, the UK and the US. Fascinated by rapid developments in cognitive sciences, he completed a university degree in Psychology, specializing in Child Development and Education and received an MA in Neuropsychology. In 2008, Hervé left the banking sector to start a network of schools in Paris, CERENE, that work with children with learning disabilities. Hervé is excited to serve the ISP community as a Board member, sharing his knowledge of the French education system, his experience working with children with special needs and his interest in the impact that discoveries in brain sciences have on the education sector. In 2002 Karen Lewis, born and raised in the US, came to Paris with her husband and two young sons with the intention of only staying three years. The family has enjoyed living and working here so much that the adventure has been extended to over 12 years now! Karen appreciates the active learning and engaging philosophy of the IB program. A graduate of the George Washington University Law School in Washington, DC, Karen is currently Assistant General Counsel for Group Legal at Capgemini. Her responsibilities include the handling of large and complex IT deals, global alliances, procurement, M&A and the Group Legal Budget. She was previously in-house counsel with PricewaterhouseCoopers, IBM and PartnerRe. Karen also holds a Bachelor of Science in Business from Drexel University. She possesses strong financial skills acquired after starting her career at KPMG as a Certified Public Accountant serving both audit and tax clients. Karen can often be found at school events, especially those that include the ISP parents’ band with whom her husband, Mark Heim, plays trumpet. Karen also earned a Diplome de Cuisine from Le Cordon Bleu in Paris, with an internship at the French Ministry of Foreign Affairs. She also enjoys cooking in her spare time. Over the years, she has been a strong supporter of the American Boy Scout unit in Paris serving as Treasurer, Registrar and Merit Badge Counselor. Jessica Lovejoy is honoured to serve on the ISP Board of Trustees and enthusiastically provides her extensive management, legal and educational experience to cultivate and advance ISP’s mission and implement its strategic plan. 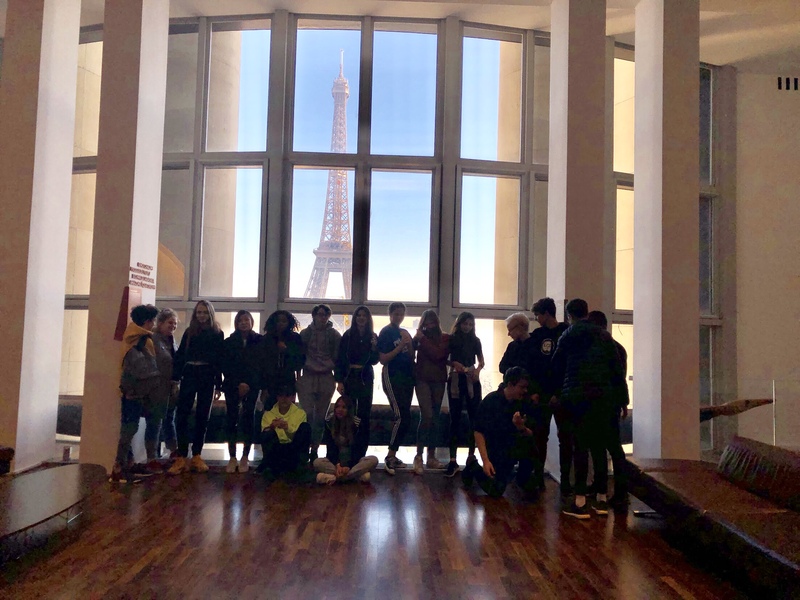 Jessica moved to Paris from New York in 2015 and her commitment to international education developed as she watched her children thrive during their first year at ISP. ISP gave them the freedom, encouragement, and tools to take risks, make independent decisions, and embrace complexity. The IB approaches to learning appeal to Jessica because her own career path has been driven by unexpected opportunities and the need to adapt her skills to new situations. She began her professional career as a U.S. Army officer in various leadership positions, including helicopter pilot and Inspector General for the U.S. Military Academy at West Point. She then spent several years as a university-level educator, teaching international relations and American politics. Later, as an attorney with an international law firm in New York, Jessica represented clients in cases involving investment banking, insurance, and corporate governance. Now, Jessica works as an independent consultant, helping government agencies and community non-profit organizations engage in and develop synergistic partnerships to advance common goals. Jessica holds a Bachelor’s degree in History and Middle Eastern studies from the University of Notre Dame, a Master in Public Policy degree in International Relations from Princeton University and a Law degree from the University of Texas. Fernando de las Peñas Nava has circled the globe for a multinational career that spans Latin America, Europe, North Africa and Asia. His contact with different cultures and diverse and fast-changing environments has given Fernando direct knowledge of challenging modern realities. He brings to the ISP Board of Trustees a passion to help better prepare our children for a shrinking world of uncertainty and change - a world that demands a new set of tools and personal motivation for success. Originally from Mexico, Fernando holds a degree in Electronic Engineering from a Mexican university and has pursued postgraduate studies in Britain, France and Switzerland in engineering, finance and marketing. He moved to Paris in 2012 while on an expat mission with a Swedish company. Currently Fernando runs an independent consultancy company with clients in China. He is also an entrepreneur, with a chain of sushi restaurants and frozen yogurt retailers in central Mexico. Fernando and his wife, Christine, who is French and holds a degree in Political Science from a Swiss university, have three children at ISP: Valentina (Class of 2017), Quentin (Class of 2020) and Santiago (Class of 2023). Combined, the family hold passports from Mexico, Spain, France and Colombia. Igor Schlumberger, born and raised in Paris, is a renowned entrepreneur in the e-commerce industry. Among his many achievements he launched Europe’s foremost shopping destination in 1998, Leguide.com, and served as its CEO. He also co-founded both PrestaShop in 2007, an open source e-commerce solution, and recently in 2012, an industry-leading customer solution called VideoDesk, which uses live video, text and voice chat. He and his wife Emmanuelle, a primary school teacher in the French educational system, are greatly interested in education. An inquirer by nature, Igor is a fervent believer in the IB program. After spending a year and a half in Palo Alto in California in the early 90s, Igor came back to Paris to raise his family. At ISP, he is able to offer his children an international education, increasing their understanding of the world and their chances for success in a global economy, all the while growing up in Paris. A father of five, three of his children have already graduated from ISP, Isaure (class of 2012), Rémy (class of 2013) and Paul (class of 2015). Emile (class of 2019) is currently attending ISP. Igor is delighted to serve the ISP community as a member of the Board since 2006. Igor speaks French, English and Spanish and in his spare time he has been practicing Hokido, a martial art, for the last 30 years. Chris Websdane was born and raised in Perth, Western Australia, the son of primary school teachers and the eldest of six children. After spending 1985 in Japan as an exchange student with American Field Service, he returned to Australia and joined the Army. As a Cavalry officer, he served in a range of command and leadership appointments in peacetime and war. In December 2016, Chris retired from the Regular Army to accompany his family to Paris. He continues to maintain his connections with the Australian Defence Force as an Army Reserve officer conducting special projects. Chris is married to Fiona, a Diplomat with the Australian Department of Foreign Affairs and Trade, currently posted to the Australian Embassy. Together they have three children, Bridget (2001), Imogen (2003) and Alice (2006). All three girls are students at ISP. Chris is passionate about encouraging children to pursue their ambitions and strongly believes in an educational approach with the agility and flexibility to adapt to the individual needs of each child. It was the ISP strategic vision and the schools commitment to inquiry-based learning and research-led education that motivated him to nominate for the Board. He was elected to the Board in January 2018 and is a member of the Governance sub-Committee. Chris is a graduate of the Royal Military College, Duntroon and the Australian Command and Staff College. He is a Fellow of the Royal College of Defence Studies (United Kingdom) and a graduate of the Australian Institute of Company Directors. He holds a Master in Management from the University of New South Wales and a Master of Management in Defence Studies from the University of Canberra. He is an avid sportsman and a budding amateur musician, enjoying Australian Rules Football, cricket and Rugby Union, and playing the bass guitar.